A New Cruise Force in the Bahamas? 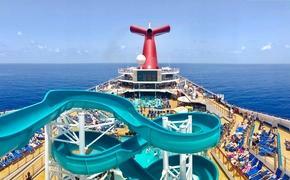 Bahamas Paradise Cruise Line is ready to make a splash with its existing ship as well as a second to be added. Grand Celebration will return to service at the end of 2017 with numerous enhancements, and Grand Classica will newly join the fleet in 2018. Since September, the Grand Celebration has been on charter from the Federal Emergency Management Agency to provide first responder and National Guard housing during the rebuilding of the U.S. Virgin Islands after hurricanes Irma and Maria. It is next scheduled to resume cruise operations on December 23, 2017, from West Palm Beach, Florida, where it represents the only line departing year-round on two-night sailings from the homeport. The upcoming holidays will include an appearance by Santa, New Year’s Eve party, special menus and festive decorations with sailings scheduled on Christmas Day and New Year’s Eve. The 1,900-guest Grand Celebration will also exhibit a number of updates including an expanded casino, new adult-only area and specialty coffee bar and juice bar. The Par-A-Dice Casino will be twice the size with more slot machines, video poker and enhanced table games. 70 slots are being added to bring the total to 125, plus new video poker machines. Table games will include Roulette, Blackjack, Craps, Three Card Poker and the Ultimate Texas Hold ‘Em Poker, as well as electronic roulette machines. There will also be increased maximum betting limits and the chance to place additional wages playing blackjack. The Oasis will be the forward sun deck complimentarily available just for adults. It features a bar, large hot tub, all-new sun loungers and outdoor daybeds. Additionally, the new Grand Café will be the place for specialty coffees, teas, smoothies, freshly squeezed juices, gelato and pastries. Treats will include chocolate croissants, Viennese pastries, muffins and quiche in the morning and sorbet, cakes, tarts, cupcakes and chocolate truffles throughout the day. Also arriving in April 2018, the Grand Classica is a 52,900-gross-ton ship that will accommodate up to 1,680 guests in 685 staterooms. It showcases several restaurants and bars, a theater, two pools, four hot tubs, wellness center and spa, jogging track and more. 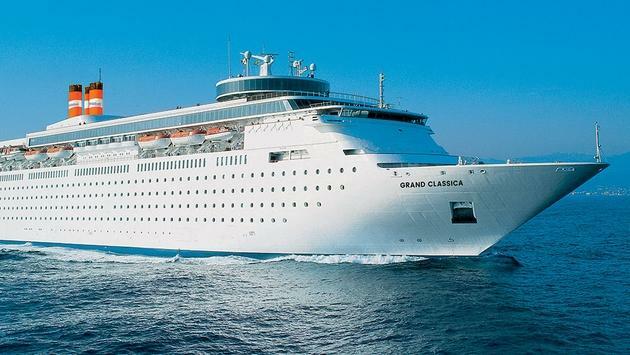 The Grand Classica will also embark on two-night sailings to Grand Bahama Island—eventually making the line the only to operate daily departures to the Bahamas from the Port of Palm Beach. In fact, the company has signed a three-year agreement with the Bahamas and a 10-year agreement with the Port of Palm Beach to that end. “Bahamas Paradise Cruise Line is showing great support in Grand Bahama and in the economy going to the extent of launching another vessel in April and this shows great confidence in our Bahamas,” said Bahamas Prime Minister Dr. Hubert Minnis at the signing ceremony. More details about the new ship including when it will go on sale will be announced in early 2018. For more information, call 800-995-3201 or visit www.BahamasParadiseCruise.com.